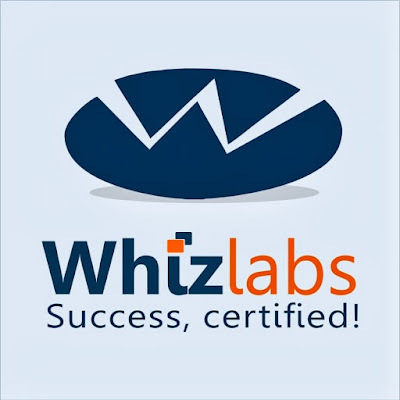 UPDATE: Whizlabs has discontinued their PMP Exam Simulator product for PMBOK version 3. They informed me in an email that as of now they have no plans to launch a newer version based on PMBOK version 4. Whizlabs PMP Exam Simulator was one of few “economical” options for PMP aspirants to achieve 35 Contact Hours. Fortunately, there is a better (economical) option, which is BrainBOK PMP Exam Simulator. If you are aware of other good and economical options to achieve Contact Hours, post your comments below and let me know. Their customer service is very good. It is a good mechanism for earning PDUs quickly and economically. Quality of questions is mediocre (overall). It does not compare too well with other sources like Rita's Fastrack, Oliver Lehmann, pmstudy (free 200 question exam). I scored in the 78-89% range on the 5 Whizlabs mock exams even when I was not very well prepared and was completing the tests in 2 to 2.5 hrs. Tons of grammatical error. Many of the questions are poorly worded. Many of the questions are exactly the same as in Rita's Fastrack CD. Many questions are repeated multiple times in the same exam (duplicates). There are bugs in the simulator software. For example, the "Bookmarks" feature does not work properly. This is how it was supposed to work: User can bookmark any question (from the 5 exams) while he/she is taking the exam and can review all the bookmarked questions from all the 5 exams anytime after the exams. User can also run a test of only the "bookmarked" questions. The feature was really good but only if it had worked properly. There are bugs in the tool due to which the bookmarked questions get replaced with other questions arbitrarily. Some erroneous questions, for example, questions with only 2 choices or incomplete questions. Having said all this, it is still not too bad overall and I think it did help me pass the exam. After all, it is offering 1000 odd questions and even if you find 100 good questions, it is still worth the price. At least, it helps you uncover some of the weak areas. Note: You can download a trial version of this software from the Whizlabs website and try it before purchasing. A first-hand review of Head First PMP - a visually rich and engaging PMP study guide - based on PMBOK 5th Edition. The Agile Prepcast is a podcast-based audio-video program for PMI-Agile Certified Practitioner (PMI-ACP) Certification exam preparation. I can tell you whizlabs online exam still bad, i just bought it 1 month ago , compare to R__X Exam Prep , whizlabs contain many wordy question, and many terms not exist on real world exam. but it really a cheap method to got PDU, otherwise for exam prepare is not good. Thanks for sharing your feedback on Whizlab content. I hope they'll take notice and work on improving their offering. PMI, PMP, CAPM, PMI-ACP and PMBOK Guide are trademarks of Project Management Institute Inc.